The search for an adequate understanding of the New Age phenomenon is fraught with difficulties when examined within the perspectives of sociology of religion. This book advances our understanding of the so-called New Age phenomenon by analyzing accounts of insiders' religious experience and orientations. This approach is brought to bear not only on the study of written documents relating to New Age and its putative antecedents, but on the analysis of in-depth interviews with thirty-five spiritual actors. 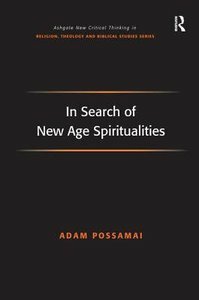 About "In Search of New Age Spiritualities"
List Of Tables; List Of Figures; Acknowledgements; Preface, Introduction; A Profile Of The Respondents: Social And Spiritual Aspects; A Profile Of The Respondents: Networking Aspects; Keeping New Age At Bay; Perennism; The Spiritual Knowledges; A Sociological Chart Of The Age Of Aquarius; Neo-paganism And Presentist Perennism; Three Perennist Spiritualities; Perennist Reenchantment: The Cultural Logic Of Late Capitalism And Communicative Action; Conclusion; References; Index.